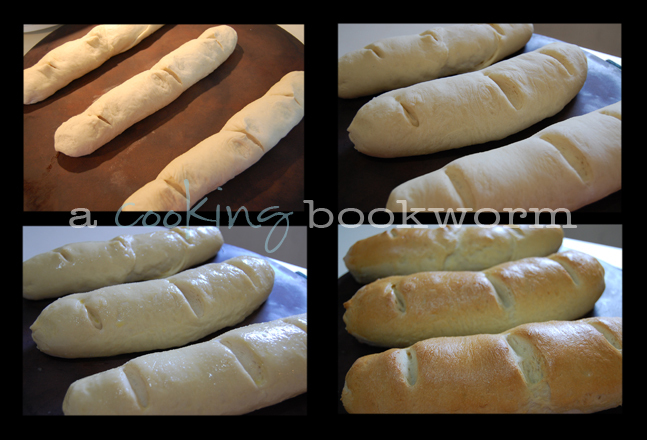 A couple of weeks ago, a friend of mine shared her French Bread recipe with me. I loved it so much, I've already made it 3 times...and can't wait to make another batch! I've used all-purpose flour twice and bread flour once. Both ways achieve perfect results. If I was going to serve the bread alongside spaghetti or chili, I'd likely use all-purpose flour which provides a slightly softer crust and texture. If I'm planning meatball subs or make-your-own sub night, I'd use bread flour. Bread flour gives a crunchier crust and chewier bread texture, resulting in a roll that would hold up better loaded with meat and cheese. But, either way, your family will be impressed when you pull these golden loaves out of the oven! 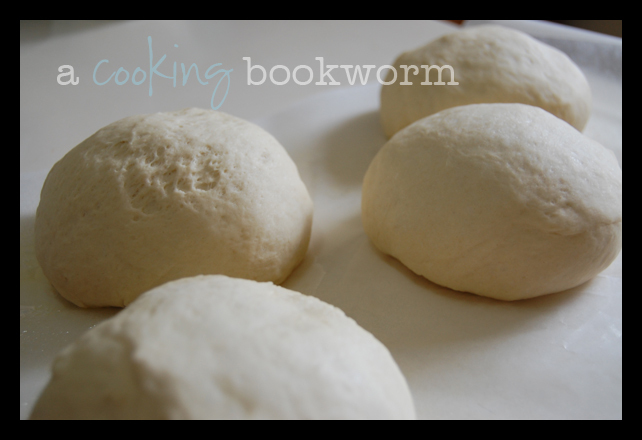 So dust off that bread machine and let's get started! Place into bread machine according to manufacturer's instructions. Choose dough cycle. Roll (or press) into rectangles (15x8). (I spray a cookie sheet and press my dough into shape there. Helps me keep a 'rectangle' visual and saves the mess on my countertop)! Place on greased cookie sheets (or baking stone), lightly sprinkled with cornmeal. 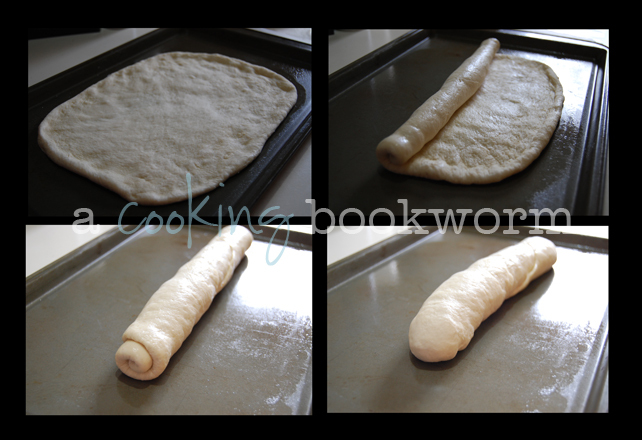 To impress your friends, make three slashes in the dough with a sharp knife. Cover and let rise in a warm, draft-free place for about an hour or until doubled. Brush loaves with an egg wash (one egg, beaten with 1 tablespoon of water). Bake in a 375 degree oven for 25-30 minutes or until golden brown and loaf sounds hollow when tapped. Steph, is this you?! :) I wasn't sure at first. I clicked over, and was like, "Did I subscribe to A Cooking Bookworm? I don't remember this name...."LOL This recipe looks delicious as always! 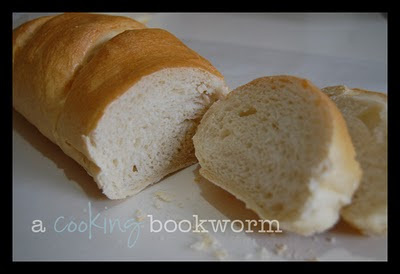 I've been craving bread lately; this would hit the spot. Yep, it's the new me! :-) I transferred everything this past weekend. Fits me much better!